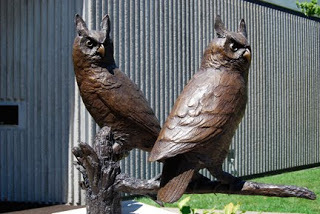 With the fall weather beginning to set in, there’s never been a better time to take part in the Audubon Sculpture Walking Tour. Stop by the Tourist Commission in the new Depot and see us for a free walking brochure or download it by clicking here. 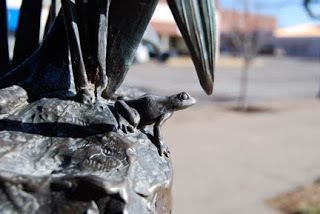 It includes a scavenger hunt challenge, more facts about the sculptures and a detailed map of where to see the bird statues. Henderson was the Kentucky home of John James Audubon and is the current home of the John James Audubon State Park and Museum. The downtown city sculptures were created in conjunction with the City of Henderson, the Downtown Henderson Project and the Renaissance Kentucky Project. 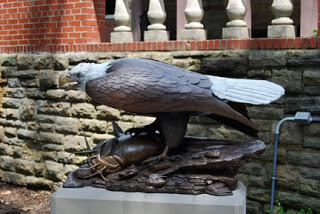 Kentucky native Raymond Graf created the cast-bronze sculptures based on paintings from Audubon’s “Birds Of America” series. To read an article on Graf and the Audubon sculptures that appeared in the June 2008 issue of Y’all: The Magazine of Southern People, click here.